Mingtai LED720 imported configuration model Operating Light equips with double switch control system, when control panel failure, emergency switch which installed on light head can be used, guarantee light normal work. Control panel in the spring arm joint, film touch switch, easy to use, Not easy to damage. This operating light LED bulb struction includes 112 main bulbs and 336 auxiliary bulbs, can improve the shadowless environment effectively. 5. The main light use 112LEDS(main bulb)+336LEDS(spare bulb) independent LED illuminant (lamp cup is one main and three spare bulb structure), divided into multiple independent illuminant group; every lamp use double CPU control, every group of LED illuminant controlled by special circuit chip, any group failure will not affect the normal use of shadowless light. Looking for ideal Single Dome Surgical Operating Lamp Manufacturer & supplier ? We have a wide selection at great prices to help you get creative. All the Single Dome Led Operating Light are quality guaranteed. 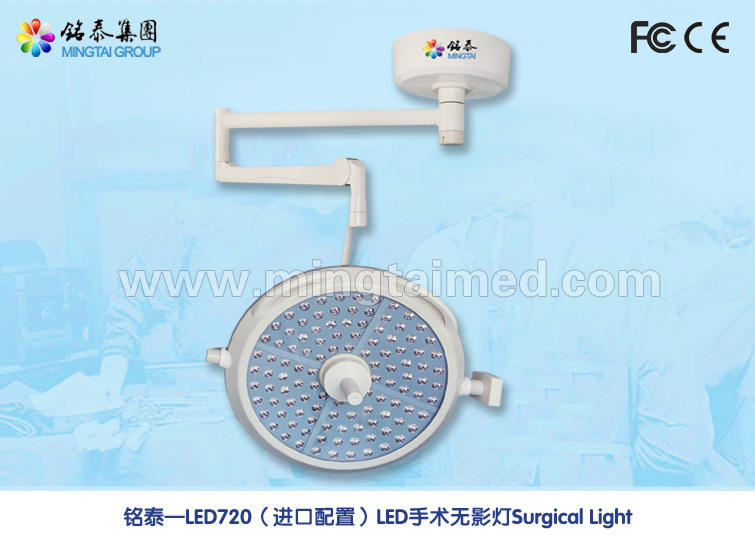 We are China Origin Factory of Surgical Light Wall Mounted. If you have any question, please feel free to contact us.